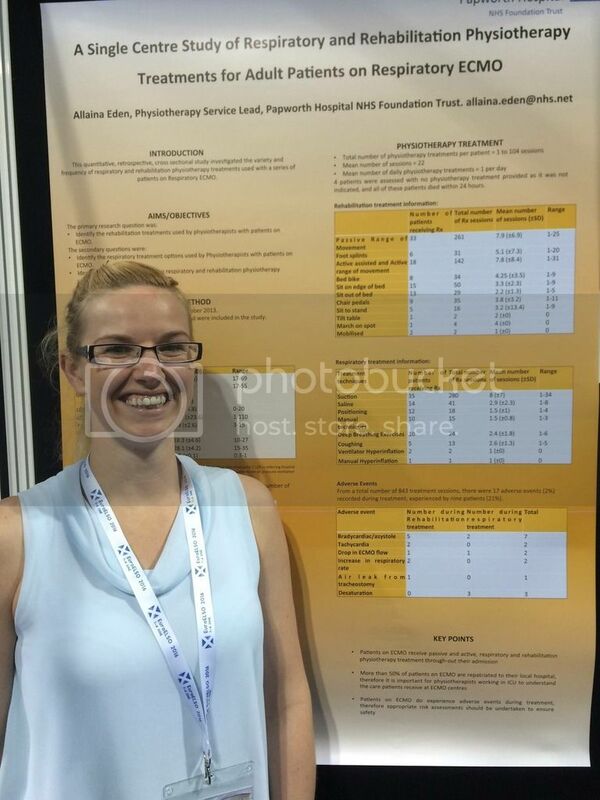 Allaina Eden and Chloe Apps share their experiences from this year's EuroELSO conference, held in June in Scotland. We were both fortunate to be supported by our Trusts to attend this year’s EuroELSO (1-4 June) at the Scottish Exhibition and Conference Centre in a surprisingly sunny and warm Glasgow. Allaina was involved with the pre-conference workshops. This involved 16 sessions over 2 half days of hands on teaching about how to prone patients whilst on ECMO. It was a great experience to meet so many international clinicians, and work with the ECMO staff from other centres. Thursday kicked off the conference with a huge range of paediatric and adult ECMO sessions. The afternoon session covered a walk through the history of ECMO presented by the ‘father of ECMO’ Bob Bartlett, plus amazing developmental research on premature lambs being support in fluid filled bags and extracorporeal life support. The very powerful stories from two ECMO survivors really brought home the reason we work in healthcare and specifically those on ECMO. Day 2 promoted nutritional support, physical and psychological needs and rehabilitation. It was interesting to note different working practices by international colleagues and fantastic to see dieticians and nurses take to the stage. Hopefully in the not so distant future a physiotherapist will be presenting too. The day also focussed on ECMO and quality improvement including leadership, team working, communication, shared decision making and learning from excellence. Re-focusing attention on learning from excellent practice and appreciative inquiry was a useful reminder that learning from negative events or mistakes is not the only way to achieve positive behaviour change. The evening saw international colleagues gather at Stirling castle where Scottish traditions were in abundance. 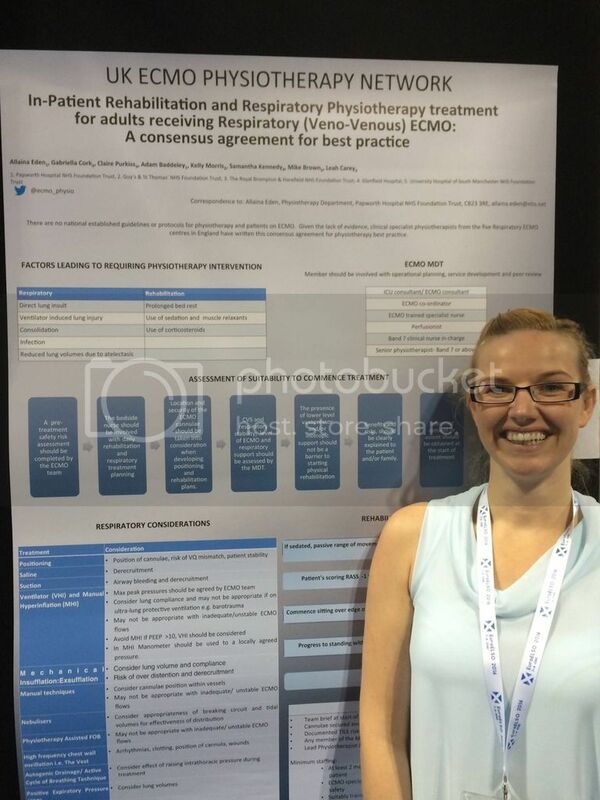 Physiotherapy related posters were displayed from Papworth Hospital and Guys and St Thomas’ NHS Foundation Trusts, and the ECMO Physiotherapy Network. These were well received and hopefully increase awareness of the role of Physiotherapy within the ECMO world. The Friday night allowed attendees to let their hair down at the traditional Scottish Ceilidh at the science centre. Following this, a slightly jaded crowd attended the last morning of the conference, which covered an outline of current and future research and an overview of setting up ECMO services in Australia and England. All in all a fantastic few days of sharing good practice, learning from national and international colleagues, and increasing the physiotherapy profile in this specialist area. To find out more about ECMO, you can see the ECMO Physiotherapy Network page on our website.